Nice quality jeans. I like the wash of the denim, and the cut of the jeans is good, not too baggy or too tight. They arrived sooner than I expected. they look good in the pics but after i got them the design on the back pockets looks like something a woman would wear, so ill be returning them. Another pair of Carhartt should have been my choice. Runs bigger usual, good quality material. Returned reordered smaller size. True to size, great color..well made. Price was ok. Size 30/34 is difficult to find. I am hoping these jeans fit true to size. My son has Down syndrome and is almost impossible to find pants that look decent. 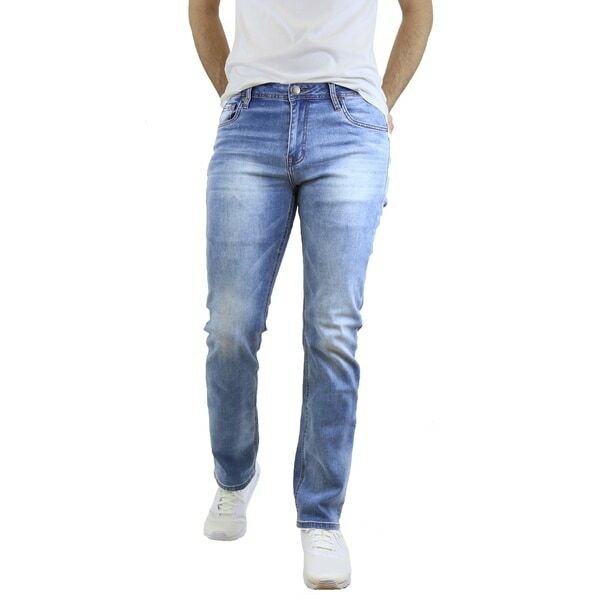 I look for skinny jeans because his inseam is only 21”,so the do not look as bad as others and are easier to have altered. It costs more to shorten them than ithe price.